Keep in mind that the borrower will only be qualified if he/she is a Filipino aged between 21 to 65 years old. His/her household income must be at least P30,000 a month. Foreign nationals are also allowed to apply provided that they are married to a Filipino. Other eligible applicants are partnerships and business owners. The most basic pre-processing requirement is presenting legal identification documents. The lender will establish any issues in your application and will make sure that the borrower is qualified. They will also use the documents submitted to conduct a background check on the lendee. Initially, the application form that will be filled out will send the basic information such as name, location, email address, and contact numbers to the lender. If married, the spouse should be able to sign on the form as well. In case a co-borrower or a co-maker is needed, a separate application form should be accomplished. The lender will take 2 to 3 business days to review the application form. After assessing it, they will then ask for documents to prove the validity of the information that was submitted to them. It is mandatory for the borrower to submit legal financial documents such as Income Tax Return (ITR), 2 to 3 months of pay slips, and bank statement. The lender will cross-check these documents to guarantee the financial capability of the lendee. Remember, following the guide above does not guarantee the approval of the loan. 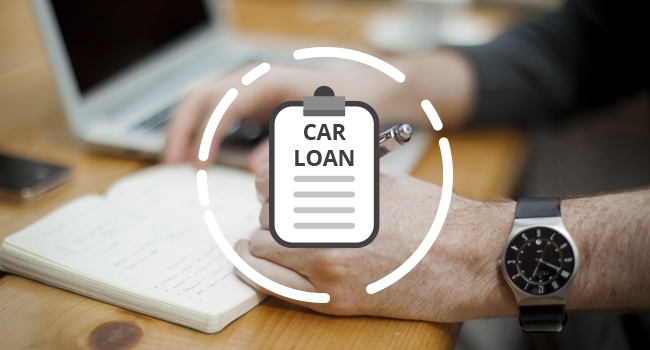 There are other factors that the lender might or might not consider when they review the application such as unpaid debts and poor credit history.